Posted 9/23/2017 9:49am by Stephanie Bradshaw. Beginning in November (the second Tuesday to be exact) we will start our Winter Meat CSA! Pastured Beef, Chicken and Pork straight from the farm to your family! We are offering two different size shares to fit just about any family's appetite and wallet, the Family Farmhouse Share and the Mini Farmhouse Share. Our pastured meats are raised on a rotational grazing schedule which means the animals are not only happy - but healthy and working with nature, not against it. Our Pastured Meat CSA is a wonderful way for your family to receive quality meats at an affordable price. The average cost for our Beef, Pork, and Chicken will be less than $8 per pound. Steaks, Roast and Specialty cuts will cost you twice that price from the store - and yet, our meats are raised on pasture, fresh and local without the use of antibiotics or hormones. Our desire is to save you time and money! No more trips to the store, or running all over town to pick up local meats at different locations. 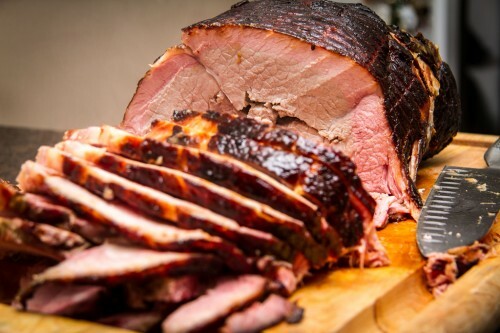 Let us bring you the very best pastured meats to your family every month! 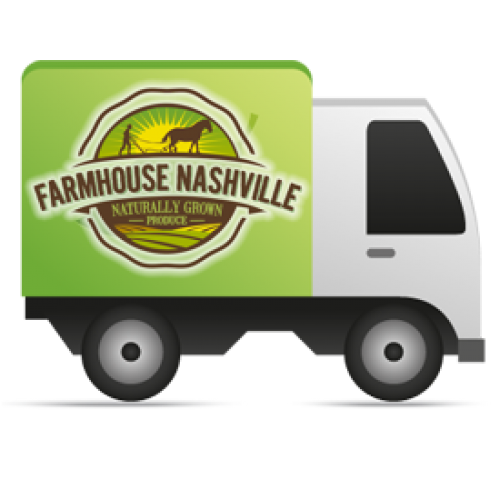 We are taking sign ups NOW - and if you live in Wilson county and sign up for our Monthly Family Farmhouse Share - on or BEFORE October 1st, we are offering FREE Home Delivery! Sign up for Home Delivery and then Use Coupon Code: FreeHD2017 to SAVE! Please note this is only good for our Monthly Family Farmhouse Share! Currently, we are offering pick up locations in Hermitage - Donelson, Smyrna, Mount Juliet and Lebanon, plus Home Delivery. If you are interested in seeing a pick up location offered in your neck of the woods, please let us know! Another wonderful announcement that we would like to share....We plan to keep our Farm Store open this winter as well. If you join our Meat CSA and would like to order additional items from the Farm Store, we will deliver those items with your Meat Share. Our farmer plans to continue to grow as many "winter" veggies as the weather permits. We hope to see Kale, Spinach, Broccoli, Cauliflower, Cabbage, Winter Squash, Brussel Sprouts, Sweet Potatoes and more available to order well into the winter months. We are also offering a Winter Egg CSA. We plan to offer a once a month delivery at this time, but are open to a second delivery the fourth Tuesday of each month for our Farm Store items, if there is enough interest. Our Farm Store and Eggs are available to everyone - not just our Meat CSA members, however, there will be a $30 minimum order for all Farm Store orders. We hope this news is as exciting to you as it is to us. We are so thankful to keep the good food rolling in all year long! Thank you for your continued support as we make every effort to bring the very best to your family! Posted 9/2/2017 8:36am by Stephanie Bradshaw. Wow...was week 17's full share box amazing or what! In the primetime summer heat we have sometimes had to skip a week. Sun, not much rain, etc, make it hard to put together a hardy box. But this summer...the Lord has blessed us with such amazing conditions for the crops. We have had awesome boxes each and every week.... I am so thankful Yall! And as our boxes start turning toward the fall, we get to again experience the amazing greens. Get excited folks!!! So now to the part I've been so excited about.....Our online Farm Store is packed with some Extremely Healing Foods! When I started this journey, I was on a mission to find the best food for my family. I've seen first hand the power of healing foods, and I want that for all of us! I have a few close friends that call me when they find out about something new that "I have to be on". We laugh about it, but this is exactly how I feel about some of the items in the store. So, this is me... telling you..."You need to be on this!" First up is the long awaited Raw Honey. Here is a link to an article on the benefits if you want to read up. If you’re not taking full advantage of the nutritional and medicinal properties of honey, it’s time to begin doing so because honey is a remarkable healing agent for all sorts of ailments. We're talking weight management, countering seasonal allergies, natural cough suppressant and sore throat soother, sleep promoter, memory booster, wound and ulcer healer, immune booster (because of it's antioxidant and antibacterial properties), and can even help cleanse your digestive system! The list of benefits goes on and on, and we have the best source available. Our bee hive is located on the farm, and helps to pollinate all of the crops. We don't feed them sugar water, we just let them do what they do best. We're careful not to rob the hive, as we want the bees to thrive as well. Next up is the Bee Pollen. This is our first year to offer it, and I'm overwhelmed at what all it does. Here is a link with more information for you on the benefits. 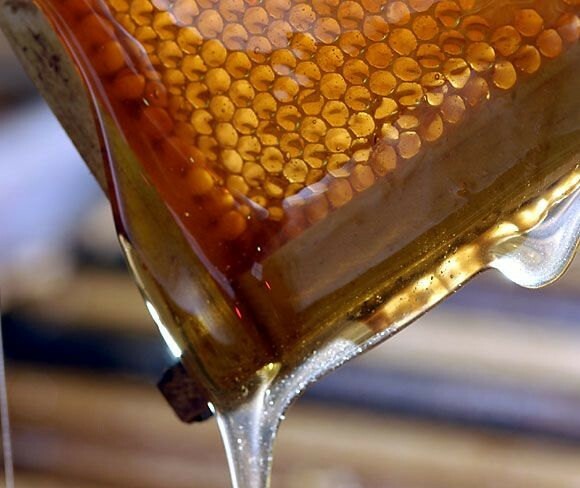 Bee Pollen is the food of the young bee. It is considered one of nature's most completely nourishing foods as it contains nearly all nutrients required by humans. Bee-gathered pollens are rich in proteins (approximately 40% protein), free amino acids and vitamins, including the B-complex, and folic acid. 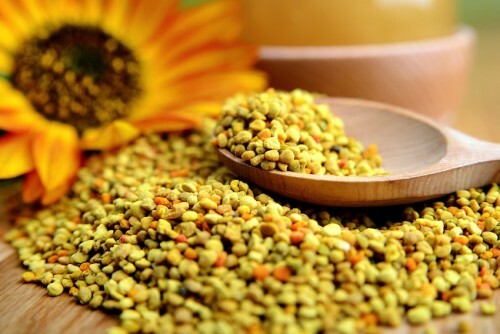 Bee pollen is a complete food and is richer in proteins than any animal source. It contains more amino acids than beef, eggs, or cheese of equal weight. About half of its protein is in the form of free amino acids that are ready to be used directly by the body. Some of the amazing benefits include: reduces inflammation, acts as an antioxidant, protects against liver toxicity, boosts the immune system, relieves menopausal symptoms, stress reliever, strengthens blood vessels, corrects cholesterol levels, anti-clotting properties, and a big time aid in clearing up seasonal allergies! Lastly are the figs and watermelon. I love both of these two, and had no idea what all they did for our bodies. Figs - these little suckers are filled with antioxidants and fiber. They are anti-cancer, antibacterial, anti-fungal, nutrient dense little pieces of heaven that have been shown to help with skin cancer, diabetes, and a number of other diseases. Watermelon...seriously yall...it's off the charts! This round melon is an excellent fruit that effectively hydrates, detoxifies, and cleanses the entire body on a cellular level. It is rich in vitamins A and C as well as lycopene, beta-carotene, lutein, and zeaxanthin which are excellent for providing protection from lung, mouth, pancreatic, breast, prostate, endometrial, and colon cancer. It is also known to significantly reduce inflammation, help flush out edema, aid in weight loss, and alleviate depression. Watermelon can also boost the immune system as well as strengthen vision. Watermelon is not nearly as high in sugar as most people think as it has half the sugar than an apple. It is loaded with antioxidants that have the ability to neutralize free radical molecules and aid in the prevention of chronic illnesses. The rind of the watermelon is equally beneficial as it is one of the highest organic sodium foods in nature! So, as the flu and cold season begin, let's try and prepare our bodies and families the best we can! Eat well my friends!! Posted 8/27/2017 5:10pm by Stephanie Bradshaw. Wasn't week 16 a beauty! Besides giving us the best of the best produce, our farmer throws in the most gorgeous cockscomb bouquet. Which if you loved it as much as we did, you can save some of those black seeds and plant some in your own garden. We hope you're making great use out of your boxes, and saving anything that you don't use up. If you find yourself with ample corn, simply cut it off the ear and store in the freezer. I put about three ears per bag, and then add it to my soups in the fall and winter. Right now my favorite meal is squash and onions, smothered in coconut oil, and browned in the oven. I top mine with diced tomatoes and fresh basil....this is the taste of summer for me! Oh, and have you noticed that your potatoes are extra dirty...that's on purpose! When potatoes are washed, the barrier that keeps them from spoiling is washed off as well. Keep those suckers dirty, and they'll last for a long, long time. Directions: Take your whole chicken out to thaw in the morning. Once it's completely thaw, cover in coconut oil and seasoning. Put in 375 degree oven for 2 hours. Quarter potatoes, toss in coconut oil, season, and place in pan with chicken for the last hour. For the okra, I like to either roast it in a separate pan...with coconut oil and seasoning.... for about 25 minutes. Or, I like to sauté on the stove top until nice and crispy. 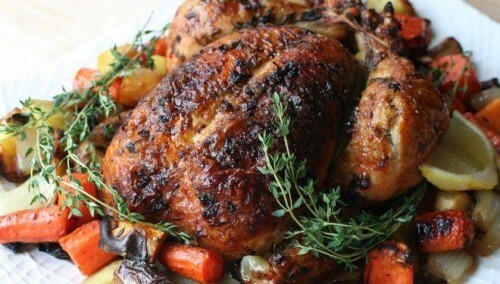 Be sure and pull off any leftover meat from the chicken, and toss in the freezer. This makes an easy addition for soups later on in the week. Directions: If you've never tried our grassfed burgers, you're missing out. This is meat you can actually feel good about! So, prepare your burgers any way you like, soak your corn (in the husk) for at least 20 minutes prior to grilling, and then toss it all on the grill. Make a tinfoil bowl, and add any veggies you have on hand...peppers, onions, squash...all perfect for this. Add some oil, salt and pepper...and grill until blackened. Perfect summer nights meal! This will probably be our last week on the red delicious apples, so if you're wanting to get some, now is the time. These babies are not your store bought red delicious...these are amazingly sweet and crunchy...our families favorite of all the varieties! Posted 8/18/2017 3:13pm by Stephanie Bradshaw. Week 15 was a pretty "sweet" week! I don't know about your family - but mine were delighted to see the maple syrup in the boxes this week. It's one of our favorite sweet treats - especially on oatmeal and home-made pancakes! 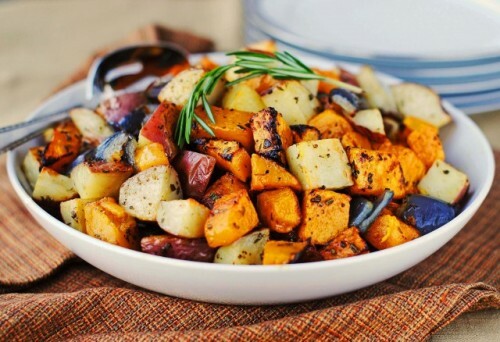 The sweet potatoes, spaghetti squash, corn, tomatoes, peppers, onions, yellow squash and okra are such reminders that we are at the end of one season and the verge of a new one...many summer items are still coming in and yet fall is right around the corner. Summer favorites are beginning to wane and we are planting lots of fall produce. Baby kale, lettuces, cauliflower, broccoli and spinach are all in the fields and growing strong. We should see corn for a few more weeks and are hoping that the next round of green beans will be ready in a week or so. We've planted several more rows of late tomatoes and hope to make those last a while longer. It's nice to have tomatoes coming in well into October, but we never know how those late plants will do. Everything is dependent on the weather....we plant the seeds and tend them as best we can, but the weather has the final say. Looking for a great recipe? Check out this amazing concoction: Butternut and Bacon Be sure to visit our Pastured Pork page in the Farm Store to order your ingredients! We have a few more pounds of our grass-fed and finished Ground Beef and several of our pastured Chickens still available. We are delighted to bring some of the best tasting - and better quality meats to our members. It's satisfying to know that we are able to source meats that are local, raised humanely on pasture without the use of hormones, chemicals or genetically modified grains. Knowing where your food was raised, how it was raised and who raised it, is an integral part of a healthy, healing diet. Speaking of healthy .... We are offering another FREE workshop for all our members. This time around we will be offering a dehydrating class. Our canning class was a huge hit and we are excited to offer this class next Saturday, August 26th. Dehydrating is a WONDERFUL way to save all of the summer bounty and put it away to enjoy during the winter. We are so excited to offer this class to our members. 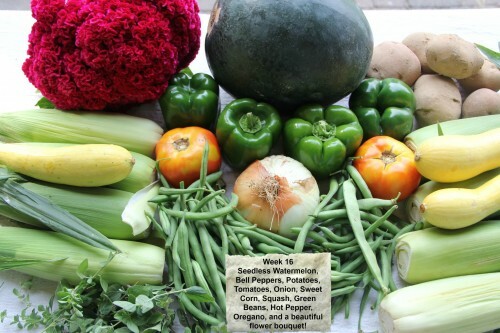 Looking ahead to next week....Here's a sneak peak into Week 16: Onions, Bell Peppers, Okra, Sweet Corn, Tomatoes, Potatoes, Oregano, Squash, Seedless Watermelon, and a jar of our Heirloom Tomato Chunks. It's looking like another fabulous week!! Hope you have a wonderful weekend and enjoy the Eclipse on Monday!! We plan to take a video of our animals here on the farm. We're wondering if the hens will go back in the coop to roost? If the sheep and goats will go into the barn to bed down? It should be interesting to see how all the animals react to this amazing event! Look forward to hearing about your Eclipse experience too!~ Be safe! Come Join Us - Free Dehydrating Class!! Posted 8/18/2017 1:25pm by Stephanie Bradshaw. Come to our Dehydrating 101 class in Lebanon on Sat, August 26th 9am – 11am to learn the convenient art of drying foods with all their luscious goodness. Topics presented will be simple drying of fruits, vegetables and herbs, how to make powders and leathers and drying meats. We’ll touch briefly on dehydrating other staples such as eggs and cheese and you’ll walk away with handouts and lots of info to help start your new journey into building your healthy, tasty food stock! Posted 8/4/2017 4:04pm by Stephanie Bradshaw. We are officially in the 2nd half of our season! Yaahoo! Week 13 provided a beautiful spread, with some strange looking squash. The green striped squash is called Kabocha. It's similar to a butternut in taste, but has more fiber, less carbs and calories, and a super high source for Vitamin A. Try roasting with the skin on, or baking and then blending to thicken your soups up. Sweet potatoes are on the horizon, but this week they are only available in the farm store. We're hoping to have some in the boxes in a couple of weeks. The big news around here is that the apples are finally in! These babies are not organic, but they are minimally sprayed and Local!!! No herbicides or colorants were used! The Johnny Macs are a cross between the Johnny's and McIntosh - these are small, crisp, and a little tart. The Gala apples are more sweet, and will not be available until the Thursday pickup. We will have several more varieties available from now until the end of the season! Buy them by the 1/2 bushel ($20), or in 5lb ($5.99) bags. We've got them grouped by pickup days, so make sure you order the one for your specific pickup day. We've also added some two types of ground beef to the store...grass-fed and finished or grass-fed and grain finished. Some of you have asked about the bacon. We're all sold out of it, but you need to try the pork jowl - tastes and looks just like bacon, but is a cheaper cut. Here are some meal ideas for next week's box. 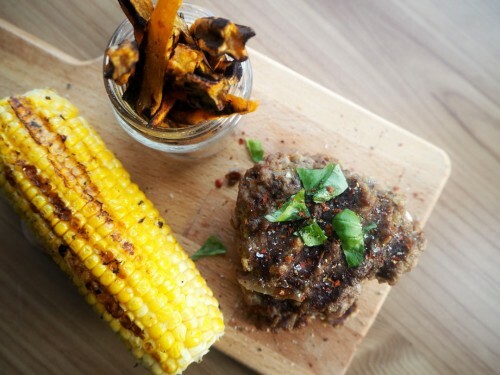 **Grassfed Hamburgers with roasted corn on the cob and sweet potato/potato fries. The secret to grilling corn on the cob is to soak your corn...in the husk...in cold water for at least 20 minutes. This cuts down on your cook time, so that when the hamburgers are ready, so is the corn! For sweet potato and regular fries, we simply cut up the potatoes, boil them for about 15 minutes, drain, and then put on a cookie sheet. Drench them in coconut oil, put a little seasoning on, and then you're ready to roast on 400 for about 25 - 30 minutes...depending on how crunchy you like them. We're so thankful you guys are part of our journey toward clean eating, and holistic food. Posted 7/28/2017 3:28pm by Stephanie Bradshaw. Week 12 and all it's glory! What a harvest! We are so thankful for the bounty that we have received so far! The weather has cooperated and the plants have continued to supply us with exactly what we needed! It's hot and dry on the farm right now. We are praying for rain...our farmers have not had rain in over two weeks. They do not have the means to get water across 175 acres of farm land at this point. Some fields are easier to reach with water than others, but a nice heavy rain would ease all our minds! Next week will be our Half Way Point! We have 14 more weeks after this one. It's a beautiful experience to eat with the seasons. Although I always hate to say good bye to the Broccoli, Spinach and the beloved English Sweet Peas of Spring, I am always delighted to welcome Sweet Corn in the summer....well, and tomatoes, okra, peppers, onions, green beans and melons! Summertime is so good, but fall has a lot of wonderful things to offer as well. It won't be long until we start to see more of the Super Greens back in the boxes again like Kale and Spinach, Lettuces, Broccoli and Cauliflower - even fall Carrots, we hope, and sweet potatoes and winter squashes! It's wonderful to live in a climate zone where we can experience three seasons of eating over 26 weeks. Our Farm Store is OPEN! And back by popular demand are those delicious cases of canned tomato chunks! Perfect for soups and stews, salsa and sauces! We have heirloom and red chunks available. These tomatoes are straight off the farm and are amazing to eat straight out of the jar! They are a fast seller - so don't wait to order! For those of you that are "do it yourselfers"...we have a half bushel of Heirloom Canners or Red Tomato Canners ready to go! Those of you who signed up for our Free Canning Class will be all set to pack your pantry with beautiful jars of canned tomatoes to last all winter! We hope to have Raw Local Honey straight off the farm available soon. Our bees are located on the farm and the bee keeper should be extracting those hives any day now. It's such a beautiful thing to see the bees pollinating the plants and then making honey. We can't wait to share this special treat with you! 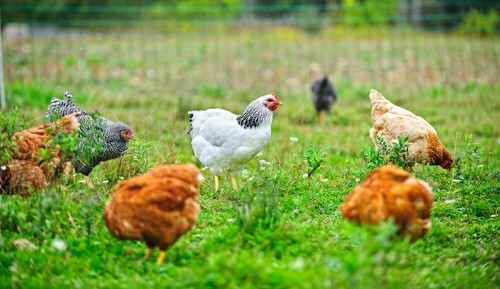 We've added Pastured Chickens to the farm store. These beautiful birds are raised on lush pastures and moved to fresh pasture daily. They forge on a steady diet of greens, legumes and bugs. They are supplemented with a locally grown GMO free feed. We have whole birds, split birds and pieced out birds available. The split birds are basically a whole bird cut into four se ctions. This makes it super easy to cut up and gives you the most meat with the added convenience of being split, plus the bones to use for broth. Our pieced out chickens are already cut up and packaged to make for easy meals. We offer Boneless, Skinless Breast, Drum Sticks, Chicken Leg Quarters, Ground Chicken and Ground Chicken Sausage. 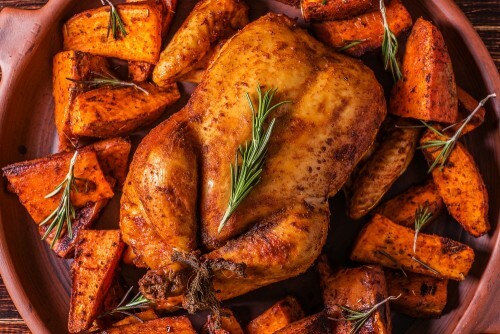 Our whole chickens give you the most bang for your buck! We are thrilled to offer so many options and provide our members with local, healthy meats from humanely raised animals. 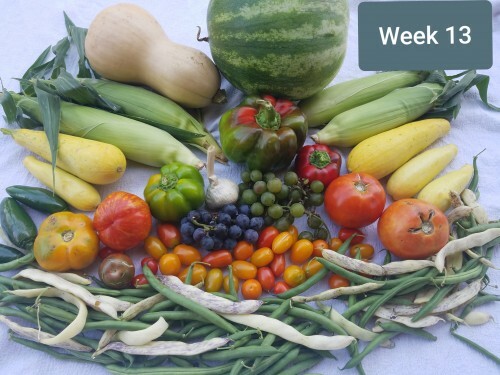 Looking ahead to Week 13....Here's our Harvest Report: Sweet Corn, Potatoes, Heirloom Tomatoes, Celery, Sweet Onions, Summer Squash, Cherry Tomatoes, Peppers, Mini-Peppers, Okra, and Thyme! Another Yummy week!! Posted 7/16/2017 8:36pm by Stephanie Bradshaw. 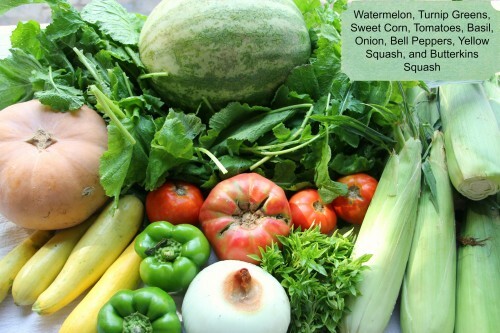 Summer is here and along with it comes a multitude of healthy bounty! You can cook, grill, bake and eat fresh to your hearts content, but what do you do with all that extra goodness that you just can’t fit into your menu? Canning your edible treasures not only preserves your hard work and money, but allows you the tastes and health of summer to be served in the midst of winter! We are offering a FREE Canning 101 class to be held on Saturday, July 29th from 9am-12 noon in Lebanon to help you learn how to “put away” your favorite garden treats and extend your pocketbook cash! 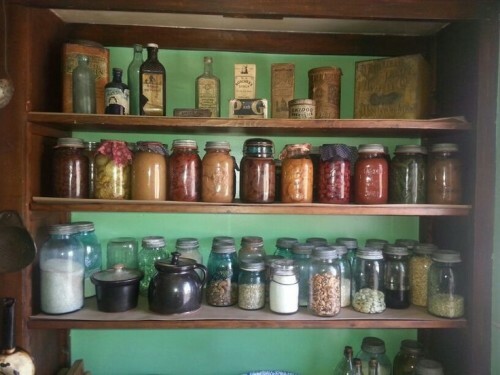 We will demonstrate canning a couple of vegetables in two ways – pressure canning and hot water bath canning. You will receive handouts describing which way you should can vegetables/fruits, and great tips and tricks for canning. We will also touch briefly on a few other methods of preserving, such as dehydrating and freezing. Great opportunity for some “hands-on” learning with Q and A time as well! This class is free to our members, and will take place at 104 Bartonwood Drive, Lebanon. Please RSVP if you’ll be attending, and come join the fun! You “CAN” do this!!! Posted 7/16/2017 8:29pm by Stephanie Bradshaw. Well, if you didn't use this week's box to make some homemade salsa - you are flat missing out! The tomatoes are coming in hot and heavy and it's a wonderful time to can some for the fall and winter! 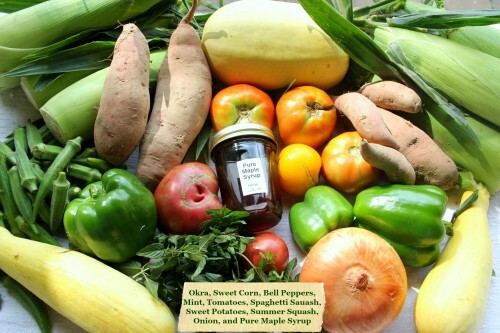 There are several items available by the half bushel in the farm store this week. Speaking of canning....We are offering a FREE canning class on Saturday July 29th from 9AM - 12PM in Lebanon. We will send out more information on this soon! Beets were in the box this week. If you are struggling on how to use them, be sure to check out our Recipe Page. 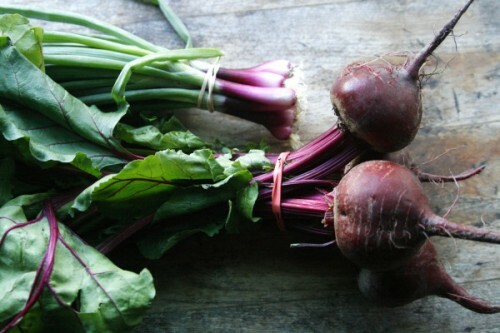 We've added several recipes and even have a Secret Chocolate Cake recipe that sneaks in some beets. It's delicious!! 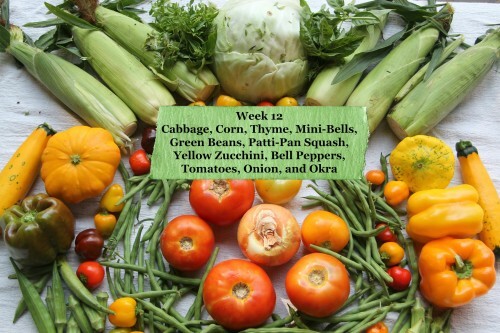 The Harvest Report for Week 11 is looking pretty fabulous: Sweet Onions, Summer Squash, Green Beans, Bell Pepper, Carrots, Corn, Tomatoes, Garlic, Thyme, and Hot Peppers! If you haven't checked out the Farm Store this weekend, there is still time! We have lots of delicious items loaded and ready for you to add to your share. Be sure to check out our Pastured Chicken page. We've added whole birds, split birds and pieced out birds. We are excited finally have chickens available to our members. We are looking forward to another wonderful week! We are so thankful that the Lord continues to provide enough sunshine and rain to bless us with an abundant harvest. Thank you for your support and encouragement each week! Posted 7/10/2017 5:54pm by Stephanie Bradshaw. There are so many studies that have confirmed when you eat a variety of fruits and veggies your body receives so many nutrients and antioxidants from the colorful selection of produce. This helps to give your body exactly what it needs to keep you healthy - and happy! For those of you who juice, don't throw away those carrot tops...they are packed full of magnesium! One of our family's favorite meals right now is Burrito Bowls: Throw some romaine lettuce, spinach - whatever you have on hand in the bottom of your bowl, top with some brown rice, black beans and garnish with fresh diced tomatoes, onions, peppers, cilantro, avocado and fresh cut corn off the cob! The corn is the BEST part - so don't leave this off! :) We don't even cook the corn - just cut it right off the cob and enjoy! My kids like to put some organic Ranch dressing on theirs - and salsa is delicious too! 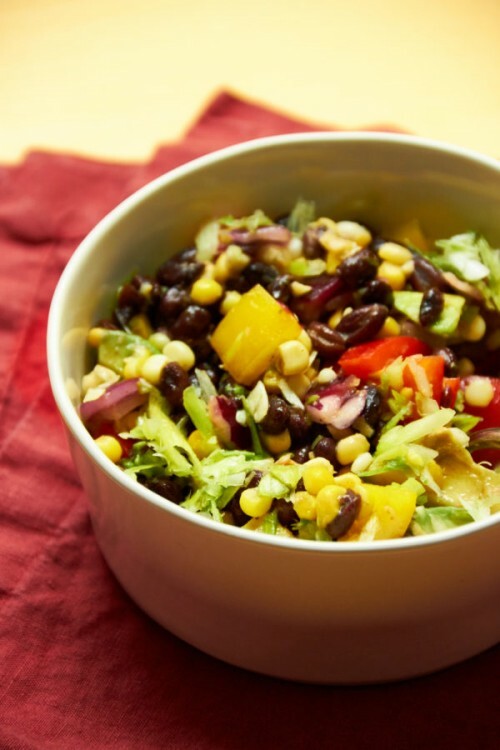 You won't regret making this plant-based powerhouse meal!! 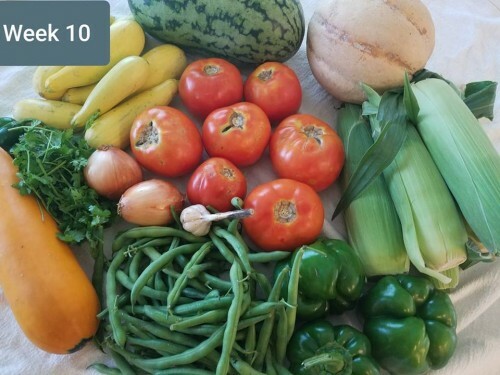 Our Harvest Report for Week 10 looks something like this: Cilantro, Garlic, Sweet Onion, Kale, Summer Squash, Bell Pepper, Hot Peppers, Beets, Potatoes, Carrots and Melons! We will try to add green beans or Lima beans if available! Week 10 is looking like another winner!